Home > Interview > Bah+Doo End of the Year Wrapup 2017! 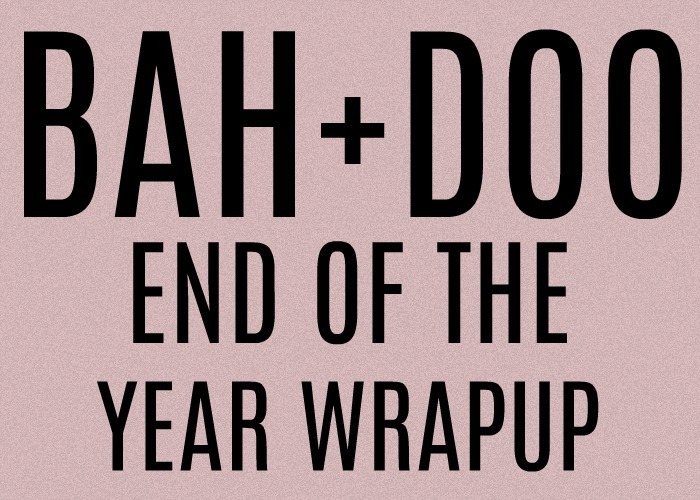 Bah+Doo End of the Year Wrapup 2017! We have had one lovely year over here on Bah+Doo. I started Bah+Doo (pronounced Bah-doo) on April 22, 2017 with two posts. One of the posts was on Oh Hae-young Again which is basically the Korean drama that got me back into Korean dramas. I dissected the scene where I fell in love with that drama and the song that played and the words that were said, ah, it still gives me goosebumps. So it all poured out into a drama post and I went from there. Fast forward 7 months and I’m still here along with another very cool person that I love and we are doing this whole Bah+Doo thing together. It is relaxing and fun and we love it. But we have GOALS y’all! So here is the breakdown of what we have done on Bah+Doo for 2017 and what we have coming up in 2018! Interviews: Our goal is to get up to 100 interviews and then do a site makeover to make the interviews easier to find. Nothing big, we just want to make an index to make everything easier. We think we can do this by trying to do 2 interviews a week (maybe more, maybe less) so that’s our goal. Drama’s to finish: We definitely want to finish up Lee Hyori’s Bed & Breakfast. We have about 4 or 5 episodes to go maybe? We love that variety show so expect random posts of LHB&B. Web Drama’s: Web drama’s are the ish. So of course we want to add some more web drama’s to our list of drama’s to recap. 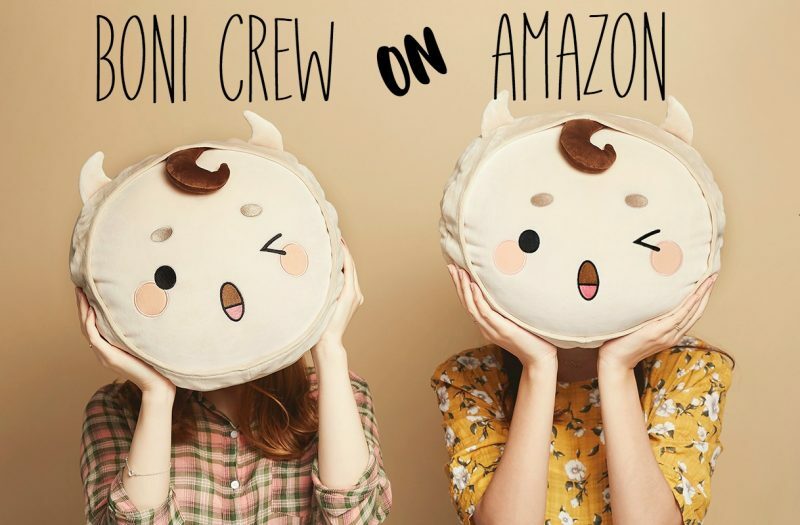 Web dramas are surprisingly light and fun and quick to recap so we plan on doing a lot more of those over here. How many? Hmm, maybe one a month? Is that too many? That sounds like a lot. Live Recaps: Oh hell to the yes we are continuing doing these! I don’t know how to explain live recapping, I feel like it is like jumping out of an airplane pulling the chord, getting the parachute tangled around you, and figuring out how to cut it off yourself as you spin and pummel to the ground only to succeed in the knick of time. It’s fun but when I explain it, it doesn’t actually sound like fun. Our goal is to do one a week for each season, so at least 4 this year. Possibly more, we’ll see. Music Lists: We want to continue doing this with each drama we do. For those of you not in the know, our music lists are basically every song that appeared in the drama, even background cafe music. It is mostly community/comment based so if you want to know a song then leave it in a comments and we will try to find it. Social Media: As for social media, we want to diversify what we put on each one. We post all our posts on twitter automatically and we also update Twitter with most things that are going on with Bah+Doo. We manual post over on Facebook and try to answer all questions over there. We think we might use Facebook as the best way to engage with our community since it is easy to see who sends us messages. We are moving our magazine content over to Instagram and we want to add some videos and boomerangs and all those fun things over there. Instagram is just fun y’all. Magazines: We are definitely upping our magazine content on this site. Our previous goal was to do one magazine review a week (haha) and that hasn’t worked out. We think we will do very short reviews and maybe post a lot of these on our Instagram. We may not use Facebook because in the past a lot of the images on our Facebook were taken down do to copyright infringement from KBS (for Fight for My Way) so we probably won’t post a lot of the magazine stuff on there. As far as other magazine content, we definitely want that to grow. I am a magazine junky y’all. JUNKY. I mean just look at my magazine list on the right. But this can be a very expensive hobby, so we are trying to focus on two magazines right now which are 1st Look and High Cut, with some other magazines thrown in on occasion. Some other favorites are W and Vogue Korea. Site Shop: We might open a site shop to sell our old magazines or other fun things! We have thrown that into the air as an option as our magazine pile starts to build (and build and build). Though we aren’t sure about the logistics of this so it might not happen. But it would be cool to have one, so we are leaving it as an option. PS. If you enjoy our site then we’d really love your support in growing our community by following us on Facebook and leaving a rating/review or by following us on Instagram and Twitter. These specific steps help increase our visibility on SNS which really helps new drama addicts discover us. A huge heartfelt thank you for all your love! Premiered: Are You Human, Too? Love your site. I’ll be following along with I am Not A Robot and I’m excited to see what you have planned for the new year. I’ll be following along too! You guys did a lot of work last year!